PLEASE NOTE: General Camping is included in your ticket price for Friday & Saturday nights. available on a 'First in first serve basis'. There are no pre-allocated plots or camp zone size restrictions. You are welcome to camp in or next to your car. Drinking water, hot water showers and flushing toilet facilities are available in established bathroom blocks around the site. No kitchen facilities are available due to number of guests and OH&S concerns. THURSDAY EARLY BIRD CAMPERS BOOKING: ($27.50) Thursday 1st of March. Come early, get settled and secure yourself a great camp spot without the crowds. Music in the Chai tent and some food operators will be open on the Thursday night. If you have a cabin booking - same rates apply- $55 a night per bed. Not available on the Sunday night. 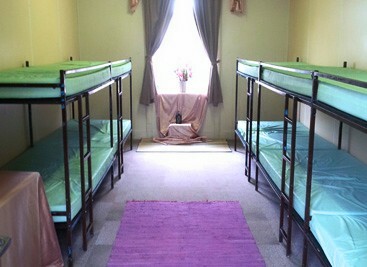 Bunk beds are available to hire onsite in the Station and the Lodge Cabins. All beds are priced at $70 a night and rooms are centrally located, close to bathrooms and include access to power points. 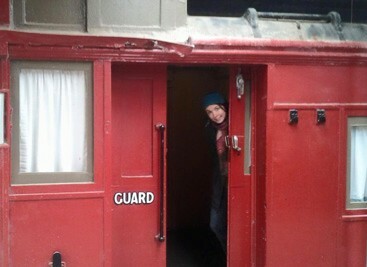 There are only 50 bunk beds and they always sell out! Please note there are no refunds for cabin accommodation but you are welcome to sell your cabin bed ticket. Booking operates on a first in, first serve basis. Friday 1st – Sat 2nd, March 2018. There is an option for staying early on the Thursday 1st- this is an additional $55 if you desire. The site is a scout camp and not a retreat center so as a result the accommodation is very basic. Cabin hire is however a very easy and a comfortable alternative to camping and at a very cheap price for the convenience of packing and setting up camp. Cabin guests are also very centrally located in the festival grounds. Power is also available to those who are booking glamp tents. 2.a OPTION: Glamping Belle tent with all the bells & whistles! b OPTION TIPI: Glamping Tipi with all the bells & whistles! Please note there is a $15 car levy payable per car in cash at the time of ticket processing. Due to site limitations and safety reasons no Caravans, Class A or C motorhomes or trailers allowed. We have extremely limited space for cars, and simply do not have the space everyone bringing their cars, not to mention we try and reduce our impact as much as possible on our beautiful site and planet. To find a travel buddy, post on our Facebook group below. 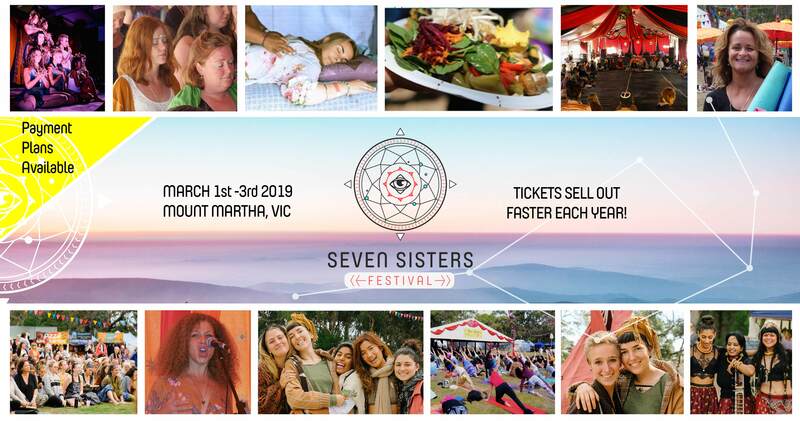 © 2019 Ticketbooth on behalf of Seven Sisters Festival. All sales are final. Tickets are non-refundable.